New Britain Public Library Community Room 20 High Street New Britain, CTAs war hysteria swept the west coast in 1941 Japanese American Families were forced from their homes and lands by presidential decree, which gave them only forty-eight hours to leave their homes and abandon their businesses. 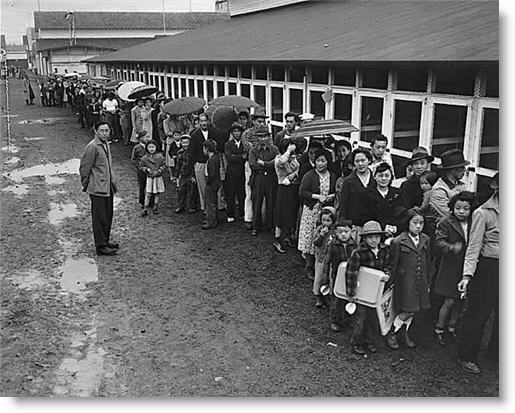 The government confined more than 120,000 Japanese-Americans in internment camps around the country. Both American citizens and resident aliens were treated as grave security threats. Large signs in bold letters were posted everywhere for all persons of Japanese ancestry, listing the areas and boundaries that were affected.Hear author Lorraine Leiko Miyahara describe her experience in the internment camps as a child and what present assaults on civil liberties mean for people in the U.S. today. To be followed by a discussion. This entry was posted in News and tagged Civil Liberties, Connecticut, History, Japanese Internment, NDAA, New Britain, War on September 4, 2012 by Robin Hood.